Having reached the middle stretch of a month of bánh mì, I find myself presenting sandwiches about which I do not have a tremendous amount to say. In other contexts I might simply elect to not say anything, as it is never my intention to bore readers or to waste their time. 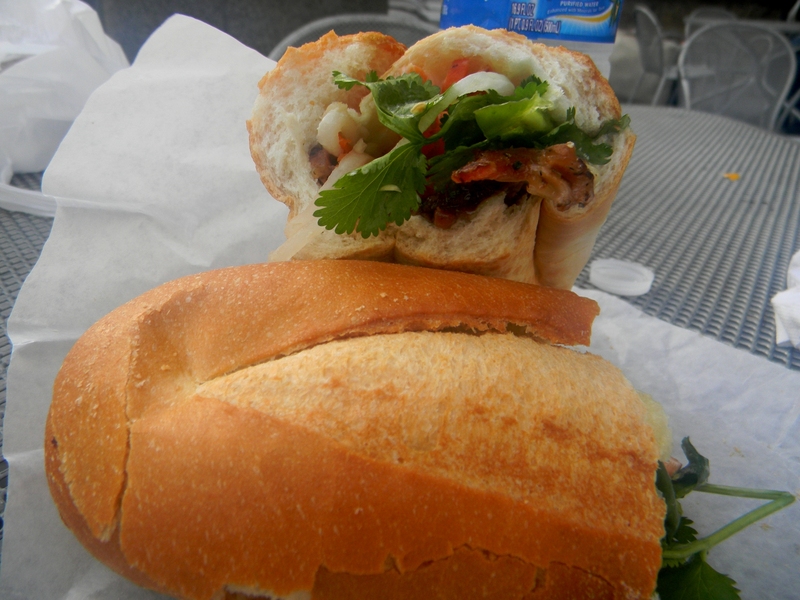 But Dakao is one of the few bánh mì options in downtown San Jose, so it probably justifies a few words. Thankfully, given that it is one of the only available options, Dakao makes a decent sandwich. It’s nothing spectacular, another establishment coasting on the high floor of the bánh mì, but it’s good enough. The pork was tasty but a bit sparse, leaving a sandwich where some bites were all flavorful pork and some were mostly Vietnamese mayonnaise. The main fault with the shredded chicken lay with its lack of flavor, as it comes in a bit bland. All things considered, especially that you can get a sandwich for less than three dollars, the sandwiches are good enough, and some days that’s all you get. 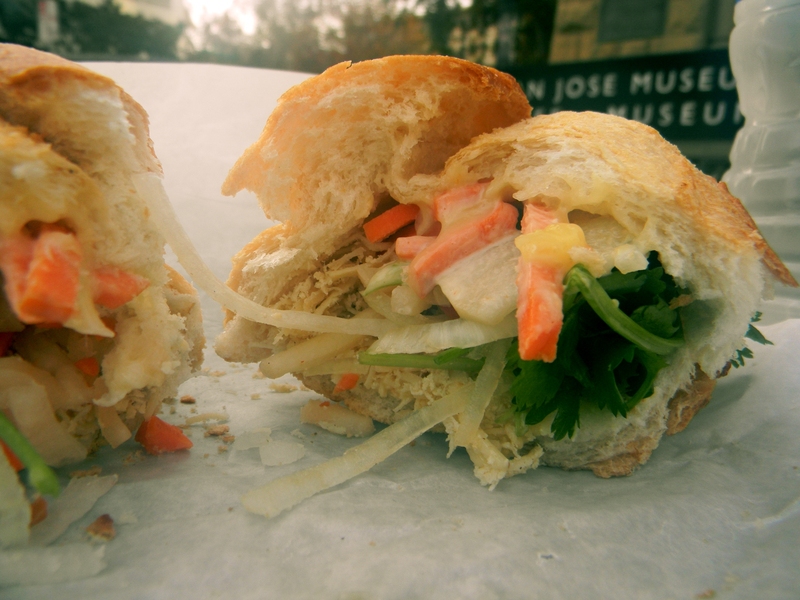 This entry was posted in A Month of Bánh Mì, Sandwich Reviews and tagged Banh Mi, Chicken, Pork, Reviews by Pete, San Jose, Sandwiches I Have Eaten, Sandwiches Made For Me by Pete. Bookmark the permalink.